The life and times of the great statesman as he saw it. 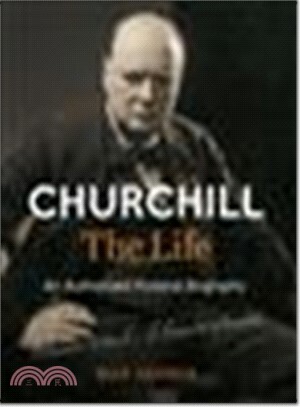 "This beautifully produced volume brings Churchill vividly to life... The book richly reveals both the private and public sides of the war leader and rhetorician. Churchill emerges as a fully human figure and treads the historical stage with a new energy. Highly recommended." Winston Churchill was and still is a large presence. No fewer than five recent film productions in as many years -- Churchill; The Darkest Hour; The Crown; Churchill's Secret and Dunkirk -- have attempted to present the controversial leader accurately. But for good or worse, we can only turn to the man himself and his contemporaries for the true story. Churchill, The Life uses his words, personal documents and photographs as well as private and public memorabilia to commemorate the private, military and political man who many consider "the greatest Briton of all time" and the best friend the United States ever had. Many of the items are published here for the first time. Legacy - Statesman; historian; Honorary Citizen of the United States; Nobel Prize Laureate, final days. Compelling, exhaustively researched, filled with informative captions and quotes, rarely seen and never before seen period photographs and ephemera -- this is a book worthy of its subject that will entice fans of military and world events and historical figures. An essential purchase for all collections. Max Arthur is one of Britain's leading oral historians, and author of Above All, Courage on the Falklands War, and Last Post: The Final Word from Our First World War Soldiers. His 2007 book, The Faces of World War I, is the biggest-selling illustrated book on the conflict in the UK. He lives and works in West Sussex, England.